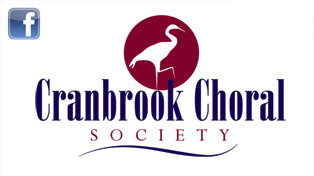 In 1998 the society was awarded a National Lottery Capital Grant which enabled it to purchase staging and seating for a choir of 120 and seating and music stands for the orchestra (Cranbrook Sinfonia). One of the conditions of the grant was that the society should offer other choral societies, schools and performing groups the opportunity of hiring the whole or part of the equipment. Since this offer was made known, the staging has been in constant demand by choral and orchestral societies in many parts of the south-east of England including London, Kent, Sussex and Surrey. All the equipment is housed in a purpose-built trailer and is mounted on wheeled trolleys for easy handling. The society’s staging manager can deliver and erect tiered staging and comfortable seating, ready for the final rehearsal, and can dismantle it immediately after the performance. Also available are 40 Opus musician posture chairs and music stands, together with a conductor’s podium and music stand. Full details of hire charges etc are obtainable from the Chairman. The society recently decided to start building up its own library of vocal scores. So far the following are available for hire to other societies: Please contact the Secretary. Details available in the Contacts page. Click here for a current list of all Vocal scores and music available for hire.